The following events – Winter Ice Show and Holiday Fundraiser and Silent Auction at Arlington House promise a good time for a good cause! The Albany Figure Skating Club will hold its annual Winter Ice Show at the Bethlehem Area YMCA (900 Delaware Ave., Delmar) on Sunday, November 27, 2011 from 5:00 pm to 6:30 pm. 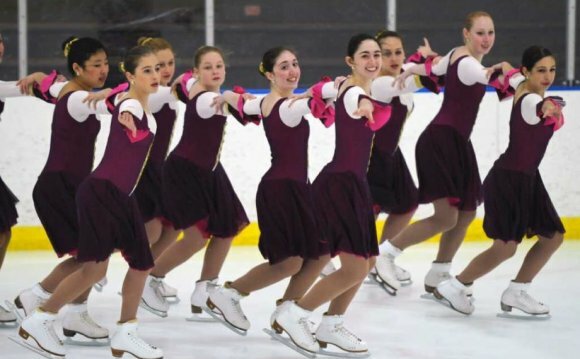 This event will feature young skaters from all over the Capital District, as well as the Albany Figure Skating Club’s Achilles Edge Intermediate and Beginner synchronized skating teams. Admission is $2 for Adults, $1 for students and seniors, and free for children under 5 years old. Refreshments will be offered for sale, and 50/50 and basket raffles will be held. All proceeds will help support the Albany Figure Skating Club’s activities and programs. Spectators are also asked to bring non-perishable food items or paper products to support the Schoharie County flood victims. Rensselaer Plateau Nordic (RPN) will hold its first annual Holiday Fundraiser and Silent Auction at the Arlington House, 3532 Route 43, West Sand Lake, NY on Monday, December 5, 2011 from 6:00 p.m. to 9:00 p.m. There will be complimentary hors d’oeuvres and a cash bar. Admission is a monetary donation to support the RPN program. All donations are tax-deductible and go directly toward offsetting RPN program registration fees. RPN is a not-for-profit; volunteer run organization dedicated to providing Nordic recreational opportunities and wellness education that result in improved health outcomes for New York’s Capital regional children and their families. The RPN program offers children ages 5-12, the opportunity to learn cross country skiing and engage in other outdoor winter activities, while helping families to understand the impact of good nutrition and physical activity on health outcomes now and in the future. Where can I buy Figure skates?